Foreign nationals who have been accepted into a school program in Canada can apply for a Study Permit to allow them to study in Canada. Study Permits are temporary visas whose validity period are tied to the duration of the school program, usually between one and four years. To qualify for a Study Permit the applicant must show that they are registered in the school program, and that they have sufficient funds to pay their tuition and to support themselves in Canada while they are studying. The immigration authorities will also assess the intentions of the applicant and whether they are likely to return to their home country at the end of their studies. Before a Study Permit may be obtained, the foreign applicant must first be accepted into and register with a school program in Canada. Most schools in Canada will accept foreign students, including universities, colleges, high schools and secondary schools. Generally speaking, Canadian schools will require evidence of sufficient English-language ability before accepting a foreign student. Once a foreign student is accepted into a program, the school will typically require a deposit toward the tuition fees before registering the foreign student into the program. Note that the Law Office of Matthew Jeffery does not assist students with obtaining admittance into a school program in Canada. Our services include preparing and filing a Study Permit application with the Canadian immigration authorities after the foreign student has already obtained acceptance into a school program. After obtaining acceptance into a school program in Canada, a foreign national may apply for a study permit. This requires submitting an application to the immigration authorities. In support of the application, the Canadian immigration authorities will want proof that the foreign student is financially capable of paying the tuition fees for their school program, and otherwise has sufficient funds to support themselves while studying in Canada, including paying rent, buying food, etc. If the student does not have sufficient funds on their own, then family members can pledge their support. Another thing that the immigration authorities will consider is whether the applicant is a genuine student and whether they are likely to return to their home country at the end of their studies. 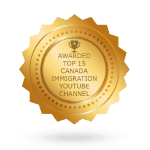 The purpose of this assessment is to screen out those who may attempt to use the study permit program to gain admittance to Canada for other purposes than studying, for example to work or to reunite with family in Canada, or otherwise to remain in Canada illegally. If the immigration authorities are satisfied that the applicant meets all requirements, they will issue a Study Permit with a validity period that is the same as the duration of the study program, typically between one and four years. Foreign national who hold a study permit may work part time in Canada for up to 20 hours per week. This will allow the student to partially supplement the cost of their studies in Canada, and to gain useful work experience. However, this work experience will not be considered for purposes of a permanent residence application. Those foreign nationals who have completed a study program of 8 months or longer in Canada can obtain a Post-Graduate Work Permit valid for up to 3 years. 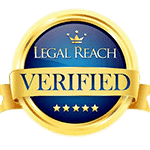 This is a type of open work permit that will allow the foreign national to work in any occupation or position that they can find. The application for the work permit must be filed within 90 days of the applicant’s graduation from their school program. By working for at least one year in a skilled position in Canada, the worker can then potentially qualify to apply for permanent residence under the Express Entry. Foreign nationals who complete their studies in Canada, then obtain a Post-Graduate Work Permit and get at least one year of skilled work experience, can then apply for permanent residence in Canada under the Express Entry. This requires a separate application under either the Canadian Experience Class or the Skilled Worker category. The fact that the applicant has Canadian education and work experience will greatly increase their chances of being approved under the Express Entry program. 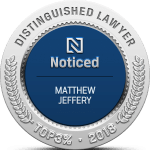 The Law Office of Matthew Jeffery has years of experience assisting clients with study permit and related applications. Please contact us for further information and assistance.